I attended a four-day event in Phoenix, Arizona called HIGH PERFORMANCE ACADEMY. So much of what was taught at High Performance Academy has great relevance to teachers, coaches, OST professionals – really, anybody who works with children and youth on an ongoing basis. So, I want to share with you, three of the biggest takeaways that I got from High Performance Academy as it pertains to working with children and youth. Anthony Robbins once said that the quality of one’s life is in direct proportion to the quality of questions that we ask ourselves daily. One of my big takeaways from High Performance Academy is the habit of asking myself – and answering – questions that reflect my desire and human need for growth in particular areas of my life. The beauty of using questions in this way lies in the total flexibility to address any issue you might be experiencing. You can custom tailor any question to generate a reflection to give you actionable ideas in just about any topic or train of thought. So, what are the takeaways from High Performance Academy around energy? First thing - we can take responsibility for our own energy – yeah, life happens to us, and we sometimes suffer the slings and arrows of outrageous fortune and sometimes our energy is affected. But if we take responsibility for our energy, we are able to take control of low points and bring them up – we can savor the high points of energy, and best of all, we can PLAN AHEAD to make sure that we have the energy we need to bring to the day. My favorite quote from the whole week that I spent at High Performance Academy is this: “The power plant doesn’t HAVE energy, it GENERATES energy.” WE are responsible for generating energy – all the energy that we need – through our habits of food, sleep, and exercise – even up to consciously bringing energy to a moment because we simply decide to. Always remember – don’t just wait around hoping to HAVE energy…. We are responsible for GENERATING it on a day-to-day, hour-to-hour, moment-to-moment basis. Take that responsibility seriously, and you will see amazing shifts in productivity, clarity, energy, and overall happiness. If you really want to genuinely connect with other people – whether it’s your students, or their families, your co-workers, your principal or your superintendent or program director – if you really want to open authentic lines of communication, you have to get out of your head and out of your needs and get into THEIR enthusiasms. Find out what exactly it is that makes them, not just happy, but enthusiastic. This is the type of enthusiasm that I’m talking about- the kind of enthusiasm that is magnetic, the kind of enthusiasm that changes students’ lives… at High Performance Academy, I was challenged to generate this kind of enthusiasm… and I am passing the challenge on to you! What enthusiasm are you generating in your classroom? What enthusiasm are you generating with your students, with your families or your colleagues? Hey everybody! Rick Rood here from Transforming Teachers, Transforming Education. And this past week, I attended a four-day event in Phoenix, Arizona called HIGH PERFORMANCE ACADEMY. In short, High Performance Academy is four days of “mastery level training and discussions around psychology, physiology, productivity, people skills, and purpose”. So much of what was taught at High Performance Academy has great relevance to teachers, coaches, OST professionals – really, anybody who works with children and youth on an ongoing basis. So, I want to share with you this week, three of the biggest takeaways that I got from High Performance Academy as it pertains to working with children and youth. Now, as most of my videos are, this in an interactive session, so if you don’t have it already, go grab your journal and something to write with, before we continue. Alright, you got it? Anthony Robbins once said that the quality of one’s life is in direct proportion to the quality of questions that we ask ourselves on a daily basis. One of my big takeaways from High Performance Academy is the habit of asking myself – and answering – questions that reflect my desire and human need for growth in particular areas of my life. We’re all familiar with Socrates’ famous quote saying that the unexamined life isn’t worth living. I should add that the examined life really isn’t a picnic either. But, as teachers, we know that true learning in our students must come with some sort of modicum of self-reflection – and as teachers – WE should be role-modeling the way in this area. Using questions is a very effective way to create self-reflection in our practice and elevation in our effectiveness as teachers and people. For instance, a simple question that one might ask to generate growth-oriented reflection might sound like this, “what can I do in the next week to increase my teaching skills?” Now this question is rather general and if asked, the answer reflected upon might lead to general, short term ideas to improve your skills as a teacher. You can frame the question as general or specific, as you need it to be. So, for instance, suppose you have a student who is acting out behaviorally – a great question for reflective learning would be “what can I do to positively affect Johnny’s behavior?” Pretty simple. Framing a question like that – and actually taking some time to think of possible answers – could lead to a solution that we weren’t able to see before but for asking the question. A metaphor that all of this resonates with me is that of a computer program. I like to think of our brains as being a computer that is running a program. And that program will literally answer any question that you ask it. It may not be the right answer, but it will try and answer any question to the best of its ability. And herein lies the fundamental power of questions. I believe that any question you ask of yourself – of your brain – if you ask it repeatedly and with some emotional life behind it - will eventually get you an answer. Now if we follow this idea right down the rabbit hole, what we will see is that the questions we ask – especially the questions that we ask intentionally and habitually will create answers for us. So, with this we not only have this powerful opportunity to seize the power between our own ears, but we have a responsibility to guard against questions well … that may lead us to answers that work contrary to our purposes. Go back to the example of little Johnny and his “acting out” behavior – many times out of habit – and yes, I’ve been guilty of this too – we’ll ask a question that doesn’t deliver such stellar answers such as “hey, what’s wrong with this kid?” Now remember, our brains don’t really distinguish between good questions and bad questions, or useful questions or not useful questions … it just seeks to find an answer. So, when we ask, “what’s wrong with this kid”, our brain, the computer program, immediately sets off to find evidence that there is, indeed something “wrong with this kid” and tell us what it is. How much more powerful is the first question we asked – “what can I do to positively affect Johnny’s behavior?” This obviously is more proactive and will set our brains searching for ideas to solve the problem, rather than to find blame or fault. Remember, we talked about powerful questions being habitual. One way to increase the efficacy of the question tool is to intentionally set a daily time – I like the morning, because it sets the tone for the day – but a daily time to ask a predetermined set of say two to five questions, and then answer them. I call these Morning Power Questions, and they can really set the tone for a successful and positive day. My challenge to you - take a few minutes now – grab your journal – and author a set of questions that express what you’d like to think about as you start your day. Play around with questions – design specific ones for yourself or situations that you may be facing personally or professionally. And, as always, have fun with the process! 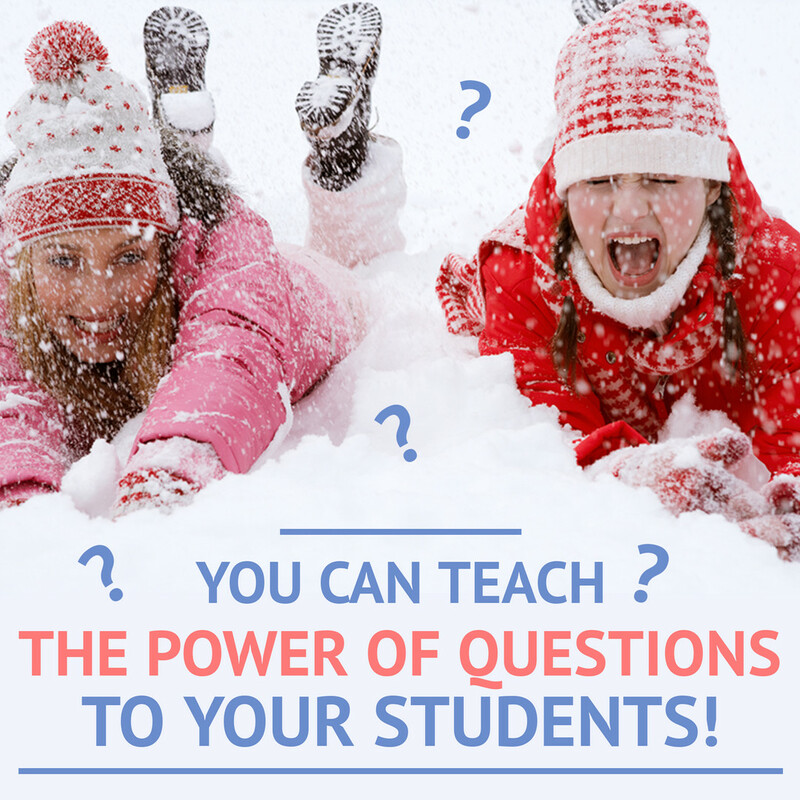 So, one last time and this is how to take it to the next level – you can teach the power of questions to your students! When students are taught the process to ask and reflect upon questions (and this is applicable for kids from preschool all the way to grad school), but when you start getting them to learn how to ask questions, they begin to adopt a GROWTH MINDSET, and a growth mindset, we all know is conducive to learning – cognitive learning as well as social/emotional growth! Now one item that we spent quite a bit of time on at High Performance Academy was how to manage our energy. Isn’t it true that almost everyone in the world wants more energy? More physical vibrancy, more wellness – and well it isn’t all physical either. People want emotional energy – they want to feel excited and alive. Many people would just love to FEEL THE DAY more. But sometimes disappointment, or sadness or anger bring our energy down during the week and it affects how we relate to others and it affects our productivity. So MUCH is tied to our level of energy, physical, emotional, and mental that it really is the bedrock of what we’re able to accomplish – and even what we’re willing to attempt at any point during the day. The point about energy that I’d say is important to working with children and youth is that energy comes from motion. 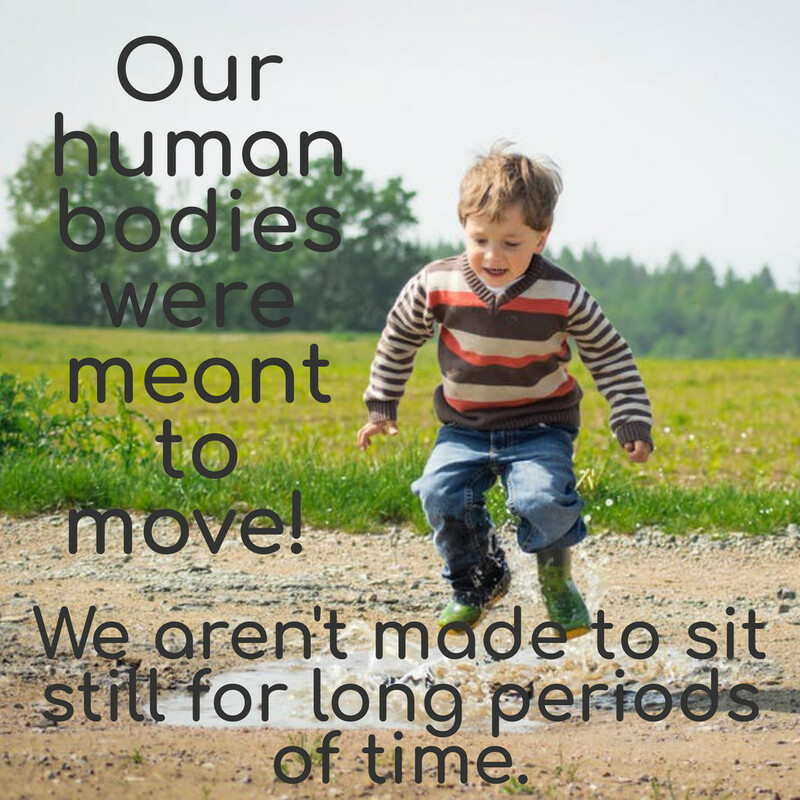 Our human bodies were meant to move. They’re not made to sit still for long periods of time. As teachers, we already probably know this because we can see it in the children and youth we serve. What we often forget, however, is that this natural state of motion doesn’t stop at some predetermined point after college – we are still built to move as adults! However, with our society’s sedentary lifestyles and jobs that many times require that we not move – as adults we get out of the practice of moving our bodies. You can see that our culture is aware – with the popularity of practices such as yoga and the introduction of standing or variable height desks… we’re getting the idea that maybe we should be moving our bodies more. Studies have shown that even a brisk stroll in the park for as little as 20 minutes can lead to dramatic changes in the chemical workings inside your brain. Movement is key to the brain-body connection. So, make sure you’re moving! Find breaks in the day to re-invigorate yourself with a brisk walk or a Qi Gong practice. A second takeaway is … what we eat is SO important to how we feel. As always, whole food options, scientifically provide our bodies with the best fuel for the day, and highly processed foods do very little but spike our sugar levels and give us caloric intake that really doesn’t sustain us. We’ve also seen lately a rise in sensitivities to certain food types as well as sensitivities to the chemicals in our most highly processed foods. Now, I’m not here to advocate for any particular diet – you know Keto or Paleo or Vegan – what I am going to say though is that we need to be more aware and conscious of exactly what it is that we’re feeding our bodies – and getting in touch with sensitivities and allergies that we may not even know we have. I’ve seen firsthand how dramatic the change can be when someone discovers a sensitivity or an allergy that has dogged them for years – and then, voila, once that is removed from their diet, they think clearer, their brain and body chemistry change, and they have more physical, emotional, and mental energy than ever before. Again, here’s the disclaimer- I’m not a doctor, before you commit to a new of way of eating or a new diet – please check with your primary health practitioner. Every person’s chemistry is individual – I mean for instance, caffeine may have very little effect on one person, but a very palpable effect on another. Same thing can be said of sugar, or gluten, or dairy… or any number of these dietary variables. The point is … explore it for yourself – find out what foods make you feel good and eliminate the ones that make you feel bad! Common sense, right? Pay attention to how you feel an hour or two after you eat something and start to notice trends. If you’re often experiencing fatigue, brain fog, unexplained aches and pains or major mood swings, it’s very helpful to start keeping a food journal. You should write down what you eat, and how much you ate, and the time of day that you ate it. And then any physical, mental and emotional changes that you experience, whether they are pleasant or unpleasant throughout the day. If you keep a journal like this for about a month and you do it thoroughly, you will begin to see trends that pinpoint which foods are making you feel great and which foods don’t. At the very least, all of this will be invaluable information to give to a health practitioner to help you determine the cause of these symptoms that are impacting your energy. Take this very seriously! Your physical, emotional, and mental energy depend on the fuel you put in your body! Now as a bonus, think about this. If you’re in a program or school that serves meals or snacks, be aware that the foods that the children and youth are consuming during your time with them also will have major effects on their physical, emotional, and mental energy. The third energy takeaway … this is pure mental – are you giving yourself enough breaks in the day to maintain mental focus? Current studies reveal that a five-minute break, just five minutes every hour, results in increased productivity and focus. This can include just stepping outside for a moment alone, if you can get away. Or just standing up and taking some very deep breaths, relaxing. Or, visualizing what you are going to do next. Or just bringing an observable end to one activity and subsequently pausing for a beat and invoking intention for the next activity – this is what I like to call the “Transition Technique” – taking breaks brings renewed energy to the new activity as it creates a psychological “ending” for the previous activity – so your brain can “put it to bed” – and sets an intention for the new activity. My favorite quote from the whole week that I spent at High Performance Academy is this: “The power plant doesn’t HAVE energy, it GENERATES energy.” WE are responsible for generating energy – all of the energy that we need – through our habits of food, sleep, and exercise – even up to consciously bringing energy to a moment because we simply decide to. Always remember – don’t just wait around hoping to HAVE energy…. We are responsible for GENERATING it on a day-to-day, hour-to-hour, moment-to-moment basis. Take that responsibility seriously, and you will see amazing shifts in productivity, clarity, energy, and overall happiness. Let’s talk about Enthusiasm. Not exactly a word that we hear a lot as to how it relates to high performance, so that makes this kind of a surprise takeaway from my week at High Performance Academy. The fact is that enthusiasm is this amazing, intoxicating mix of happiness, and joy, and self-expression… and if you understand what someone is enthusiastic about, and you can speak to them from that place of enthusiasm, you’ll create a communication of rapport and you’ll find that they will reciprocate and seek out common enthusiasms of yours as well. But here is the real kicker: just like we’ve talked about before – enthusiasm is generated. Other people are drawn to enthusiasm. So, not only do you want to understand the enthusiasms of others, but, if you want to be a leader, if you want children, youth, and families to listen to what you say, then you’ve got to learn to generate your own enthusiasm in how you walk, talk, communicate – really, you want to integrate enthusiasm into all the ways that you express yourself. I remember a college professor of mine – I went to a college, back in the day, that was originally founded and staffed by the Christian Brothers order of the Catholic church – so when I arrived my freshman year, my class in calculus was taught by one of those Christian Brothers, Brother Bob Langlinais – we just called him Brother Bob. Now Brother Bob was from the deepest part of Louisiana with a southern creole mixed accent that was infectious to hear is it was hard to understand at times. But what Brother Bob brought to the class of Calculus I – as well as Calculus II and III, was genuine enthusiasm for the subject. Math made him enthusiastic! And that was needed for us college kids, as these classes were ironically, all scheduled at 8:00 in the morning. We’d walk in from our weekend, bleary-eyed and propped up by a cup of coffee… and Brother Bob would get into it at the chalk board, explaining the mysteries of mathematics in his rich southern voice, all the while, literally jumping up and down at the chalkboard emphasizing the key takeaways of the math problem, so much so that it got our attention. I’m not going to make any bones about it… calculus was difficult. And it wasn’t my best grade in college. It was a class that required a lot of work and practice to pass… but the energy that we as students received from Brother Bob’s enthusiasm was enough to carry us across the finish line. Here we are 30 years later, and I may not remember everything about calculus, but what I do remember clearly is Brother Bob and what an amazing teacher he was – and how enthusiasm met the day and made even the dullest subject interesting. Now, if you’ve never done this before – generating your own enthusiasm – it may seem a bit daunting. But it gets easier and easier with practice, I promise! It can be as easy as thinking about something that you love to do and letting that joy just come out in what you are saying to your students - even the way you walk across the room or put away the day’s equipment. You can literally bounce up and down, in place, or flail your arms about like you did when you were a kid and feel that giddy, silly energy surge through your muscles! Try lots of different things to find out what works for you the best and what gives you the most enthusiasm. Thirty years from now, will you be remembered by your students? Your enthusiasm makes that difference right now. So, to close out this video about the takeaways from High Performance Academy, I’ll issue you a challenge, teacher to teacher. I challenge you in your practice, in your classroom, or in your center, to generate extraordinary enthusiasm for the five consecutive days. Here’s what I want you to do: At the end of each day, I want you to rate yourself this question: On a scale of one to ten, how much enthusiasm did I exhibit today in my class, my teaching practice, and my interactions with students, staff, and colleagues? The challenge is this – bring five consecutive days where that rating is LEVEL SEVEN or above and see what happens in your classroom and in your relationships. Jot down some notes in your journal at the end of each day with what level you rated yourself at from 1 to 10 and what differences you saw in the classroom. Don’t just sit there – go for it! I want to hear about what happens… put your comments in the discussion down below! Support each other with the comments and go for it this week! I hope you’ve enjoyed hearing about the takeaways from High Performance Academy. I truly hope they impact your classroom and your life. And I hope that someday, that you’ll get to attend this amazing training – it will literally transform your practice of teaching, and really, reach into all areas of your life. I’ll include a link below to get more information on this amazing program by Brendon Burchard. Until next time – don’t forget to ask better questions – intentionally engineer your thinking and your life in the direction of growth! 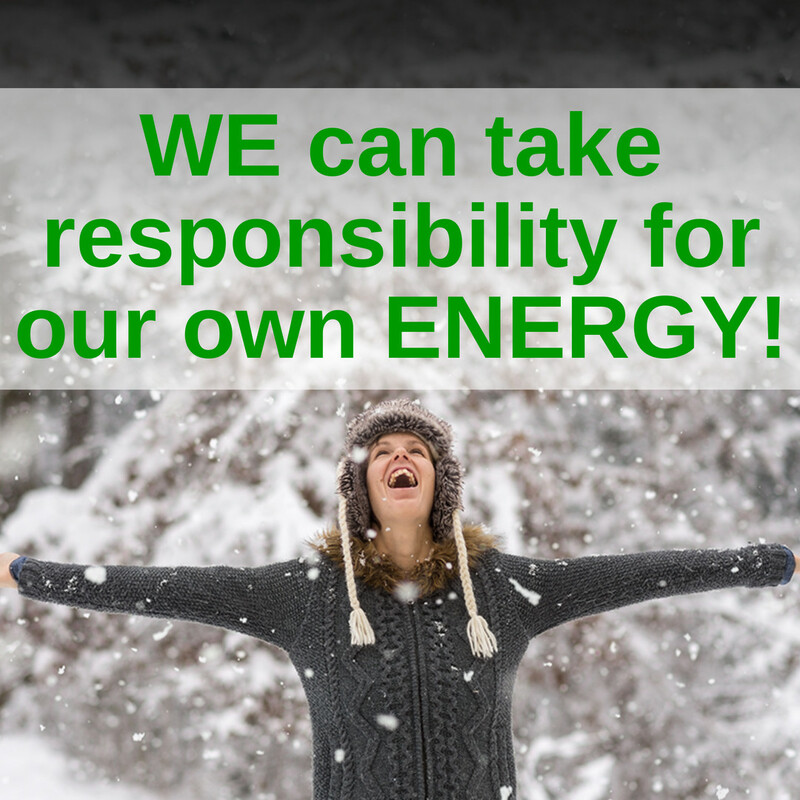 Manage your energy – remember, the power plant doesn’t HAVE energy – it generates it! Take the enthusiasm challenge – bring enthusiasm to every part of your day and strive to understand others’ enthusiasms to create rapport and authentic communication. Until then, remember what you do is important! How you show up for your students matters! And together, we’re transforming education.